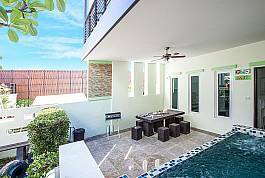 These homely summer residences in a scenic setting are a valuable option for those wishing to explore Hua Hin, a friendly coastal town with a long quiet beach. Serene yet well positioned, the 7 2-bedroom townhouses with private outdoor Jacuzzi baths are located in a safe estate with great additional facilities. 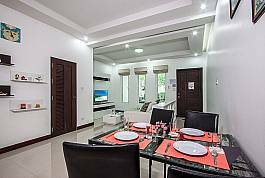 In terms of spaciousness, facilities and on-site amenities, this 2-bedroom apartment measures up to the best villas in the area. 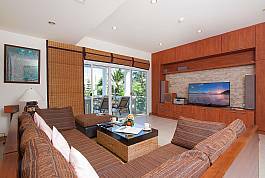 Majestic and comfortable, with a balcony overseeing a large pool and gardens that surround the entire development, the condo welcomes parties of up to 4 persons.